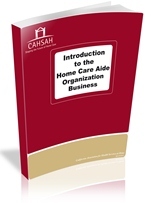 Welcome to CAHSAH’s Bookstore – your number one source for resources providing knowledge and operational efficiency in home care and hospice. CAHSAH has resources that are specific to certain auspices as well as resources that apply to all auspices. Pre-payment is required for all bookstore orders to ship. Click here, to download order form. Fax form to (916) 641-5881. 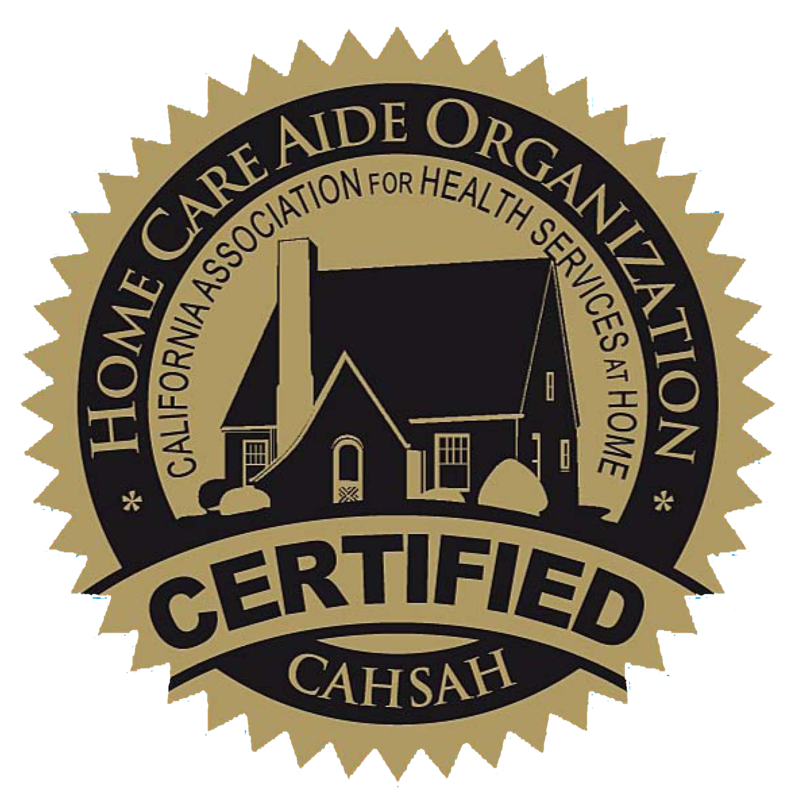 To further promote your certification status, the seal can be used on your stationery and brochures identifying your agency as a home care aide organization which provides home care aide services meeting CAHSAH's Certification Standards. This resource has been recently updated to reflect the latest developments in California legislation, case law and other updates. It is an overview to wage and hour law in California that may apply to your organization including: wage orders, minimum wages, meal, and rest periods. Additionally, it includes requirements for time sheets, maximum hours and days of work, violations, and enforcement. The resource is designed to expose agencies to common wage and hour issues, as well as, how to comply with the requirements of California wage and hour law. Handling sleep time for live-in caregivers, meal and rest period requirements, labor Code Section 226 regarding piece rate pay, properly calculating overtime for workers who are paid bonuses, 7th day of rest requirements state and municipal minimum wage requirements, meal and lodging credits, properly compensating on-call workers, and paid sick leave. Essentials for Building an Effective Compliance Program NEW! Using the OIG Seven Fundamental Elements as outlined in the Federal Register, Essentials for Building an Effective Compliance Program investigates compliance by focusing on pertinent aspects of an effective compliance program. 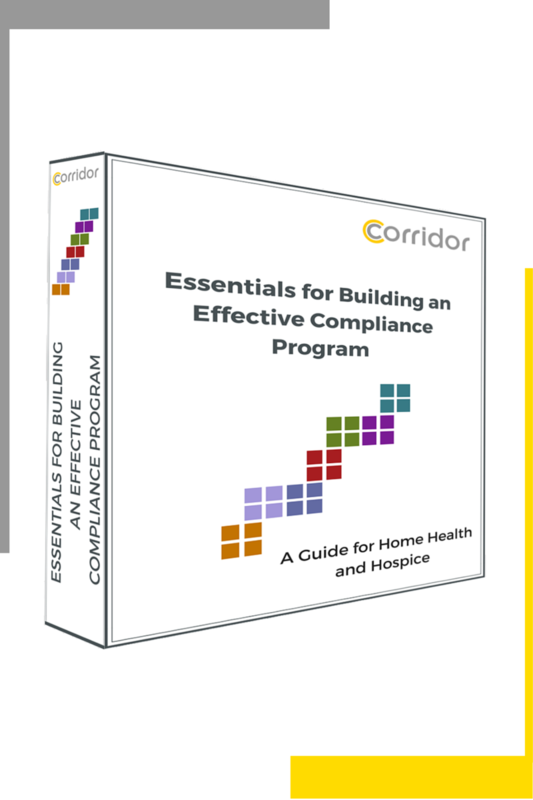 This guide provides home care organizations with an understanding of why it is necessary and how to implement an effective compliance program. The guide discusses risk assessment by department, the role of the compliance officer, the education of home care staff and their role in compliance and much more. *Please realize that nothing in this manual should be substituted for legal counsel. • Hard copy manual in three ring binder and USB that contains Word, Excel, and PowerPoint documents that can be customized for your organization. The HIPAA Privacy and HITECH ACT require organizations to have policies and procedures to assure the privacy of health information. 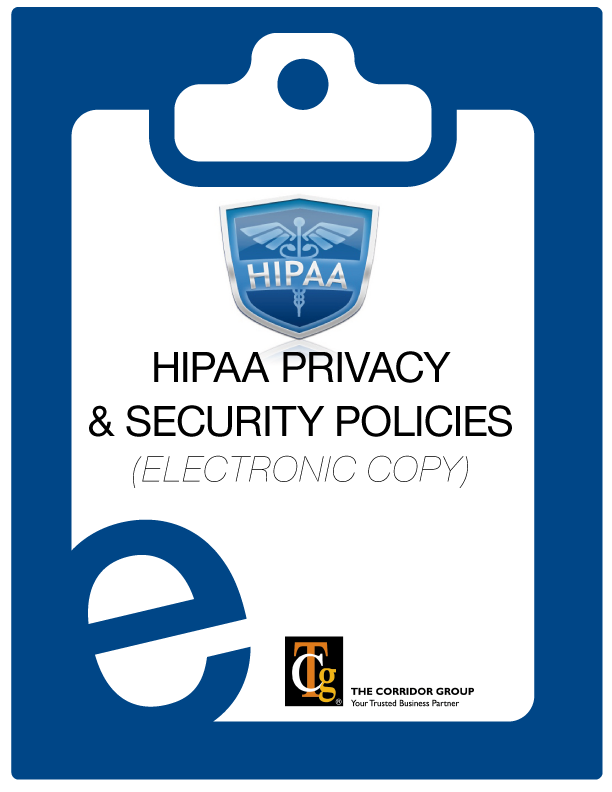 TCG's HIPAA Privacy and Security policies cover the necessary information to meet the requirements. A Notice of Privacy Practices is required and a template that your home health, hospice or private duty organization can customize is provided. A template of an Authorization for Disclosure can also be customized for your organization and utilized by your staff. With breach incidences on the rise, it is essential that you have policies that are implemented and followed by all staff to maintain compliance. 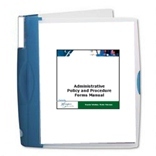 • Policies included: Thirty-nine (39) HIPAA Privacy and Security policies that meet Privacy requirements of HIPAA and the Security requirements of the HITECH Act. Also included are templates of the Notice of Privacy Practices and Authorization for Disclosure that your organization can duplicate and use for all patients. 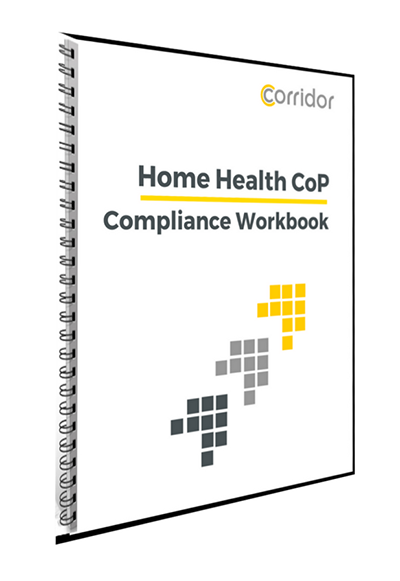 The Home Health CoP Compliance Workbook is based on the newly approved Home Health CoPs. To assist your organization in preparing to meet the newly revised CoPs, Corridor has arranged the workbook by CoP standard number. Two columns are available to assist your organization: the Compliance Requirements column is a checklist to prompt the review of current policies, procedures, processes and materials; the Organizational Strategy column is used to list items that you currently utilize for CoP compliance and to list the opportunities for development of additional items, if needed. Once your organization identifies the "to-do list," work can begin on the development of what is needed to bring your organization into CoP compliance. 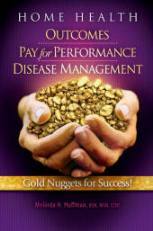 Home Health Outcomes, Pay for Performance, Disease Management: Gold Nuggets for Success! • A pay for Performance Primer. It outlines P4P principles with explanations, and discusses CMS goals. • List of home health Acronyms and Websites for Evidence-based Practice that agencies can access for managing patients with chronic conditions most often cared for in the home health setting. 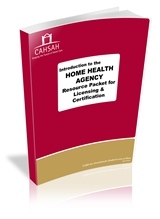 This home health guide will provide basic, up-to-date regulatory information to home health managers and supervisors. The home health information included refers to regulations and guidance published by Medicare. 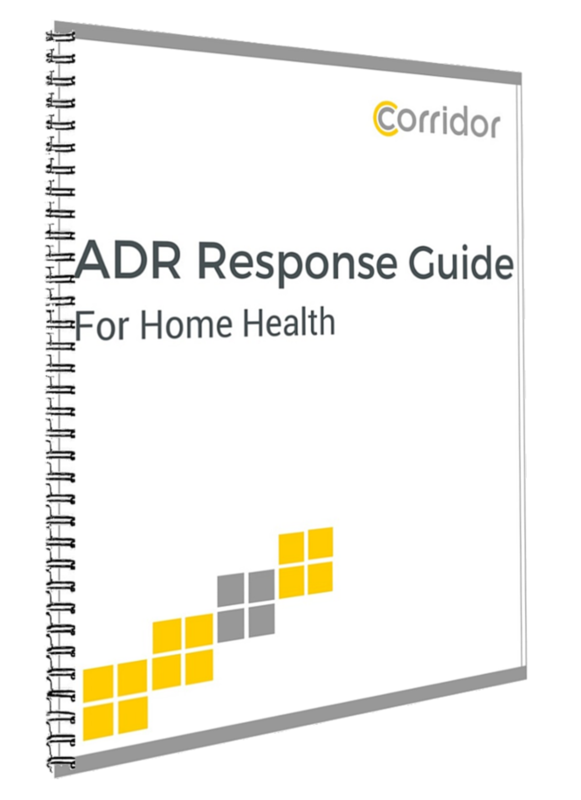 This "at-your-fingertips" home health guide will help you answer staff questions regarding various regulatory issues quickly. 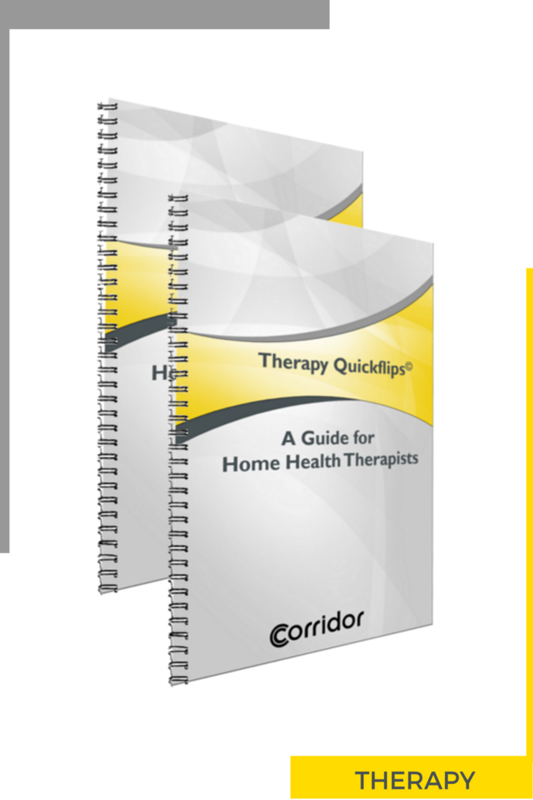 Home Health Quickflips© can be used as a reference for documentation, home health eligibility, including homebound criteria and "how to" instructions for problematic OASIS items which impact reimbursement and quality outcomes. 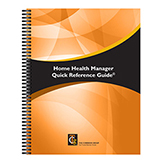 This pocket-sized resource can be a teaching tool for new employees and home health managers. The Home Health Survey Toolkit includes CoP Compliance Tool with condition, standard and tag numbers, paper and electronic versions of three audit tools. Included are a Clinical Record Audit Tool updated with questions regarding Face to Face documentation, Personnel Record Audit tool and a Contract Audit Tool. These audit tools provide a way for your organization to assess your compliance with Medicare and many state regulations. The CD contains electronic versions of the audit tools that automatically calculate the percent compliance for each record audited and rolls up to a summary sheet for up to ten (10) records. This resource is currently being updated. Please check back. This workbook is designed to assist your organization in auditing and improving your compliance with Medicare Conditions of Participation. 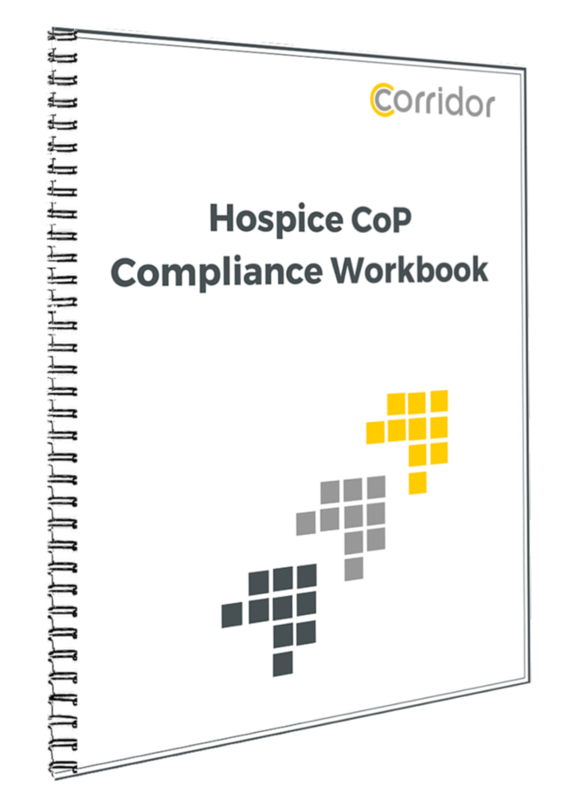 The Hospice CoP Compliance Workbook is arranged by CoP standard number. Two columns are available to assist your organization: the Compliance Requirements column is a checklist to prompt the review of current policies, procedures, processes and materials; the Organizational Strategy column is used to list items that you currently utilize for CoP compliance and to list the opportunities for development of additional items, if needed. Once your organization identifies the "to-do list," work can begin on the development of what is needed to bring your organization into CoP compliance. This resource compares the Medicare requirements for hospice with both the California State Hospice Standards and Title 22, the state home health agency licensure regulations. The matrix provides a quick reference tool so providers can easily compare all relevant regulations. 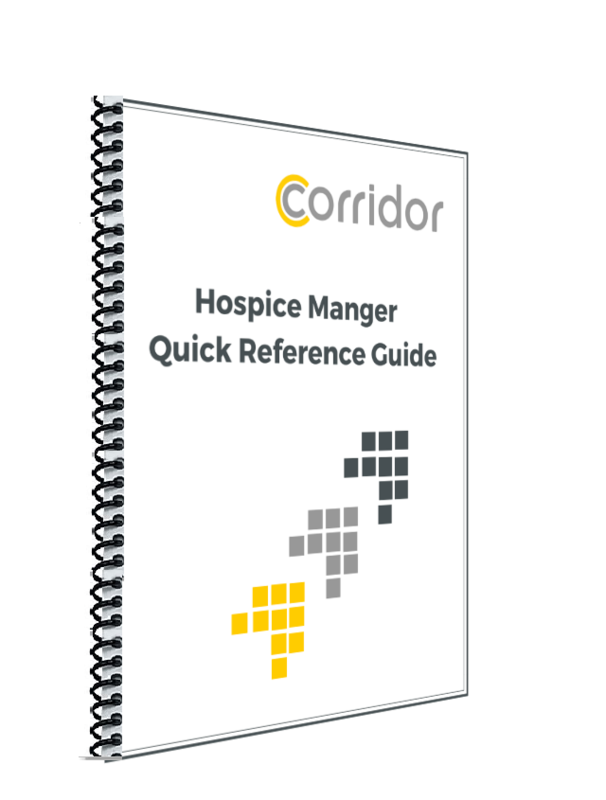 This hospice guide will provide basic, up-to-date regulatory information to hospice managers and supervisors. The hospice information included refers to regulations and guidance published by Medicare. 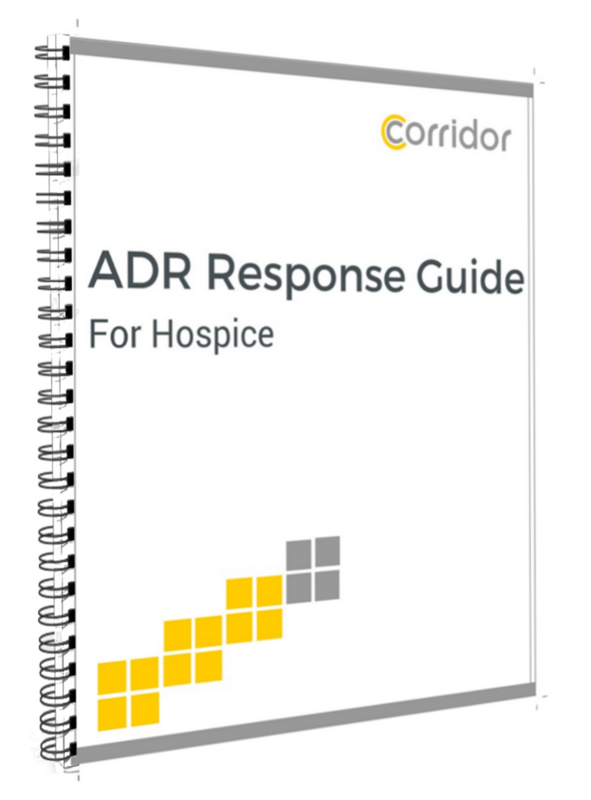 This "at-your-fingertips" hospice guide will help you quickly answer staff questions regarding various regulatory issues. 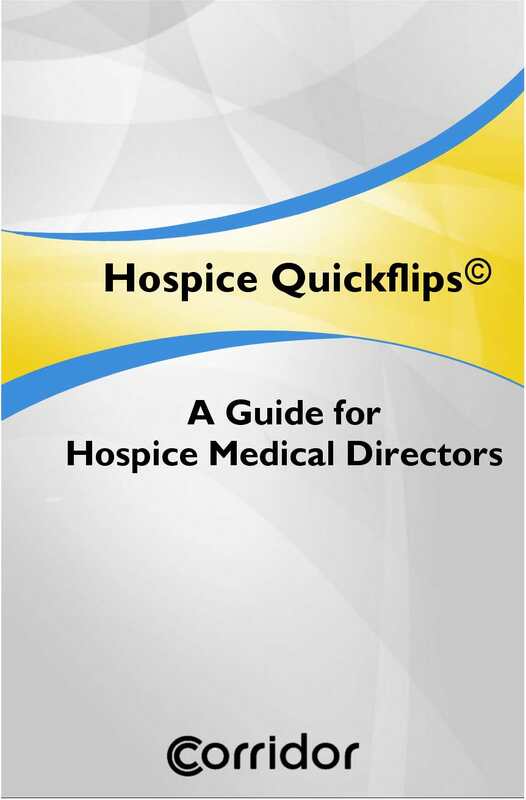 This Quickflips© is written for the Hospice Medical Director, and is a quick reference guide that covers a variety of topics that will assist the medical director in performing her/his professional responsibilities. Major revisions were made to the Hospice Conditions of Participation in 2008. In December 2010, the State Operations Manual, Appendix M - Guidance to Surveyors was revised. This resource contains a side-by-side comparison of the Hospice CoPs and the interpretive guidelines. Understand what the authoritative interpretations and clarification of statutory and regulatory requirements that are used by surveyors in making determinations about a hospice's compliance. 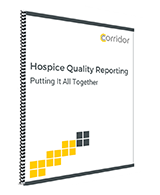 This comprehensive hospice guide examines both components of the Medicare mandatory Hospice Quality Reporting Program: the Hospice Item Set and the Hospice Experience of Care Survey. Hospice Quickflips © can be used as a reference for documentation, hospice eligibility, including NGS LCDs, IDT basics including the physician role, HIS, criteria for respite, GIP and continuous care. 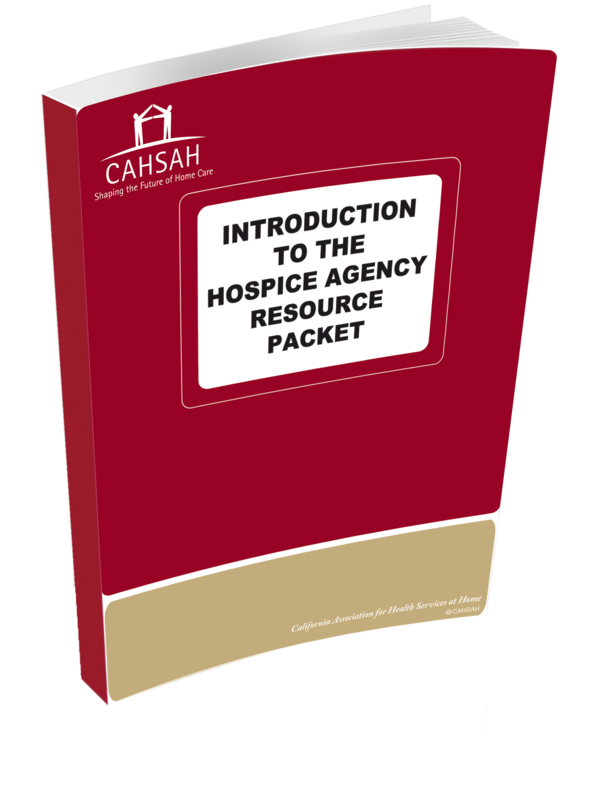 This pocket-sized resource can be a teaching tool for new employees and hospice managers. The Hospice Survey Toolkit includes CoP Compliance Tool with condition, standard and tag numbers, paper and electronic versions of three audit tools. Included are a Clinical Record Audit Tool updated with questions regarding Face to Face documentation, Personnel Record Audit Tool and a Contract Audit Tool. These audit tools provide a way for your organization to assess your compliance with Medicare and many state regulations. The CD contains electronic versions of the audit tools that automatically calculate the percent compliance for each record audited and rolls up to a summary sheet for up to ten (10) records. The 2019 ICD-10-CM Expert for Home Health and Hospice with Optum's hallmark features and format makes facing the challenge of accurate diagnosis coding easier. 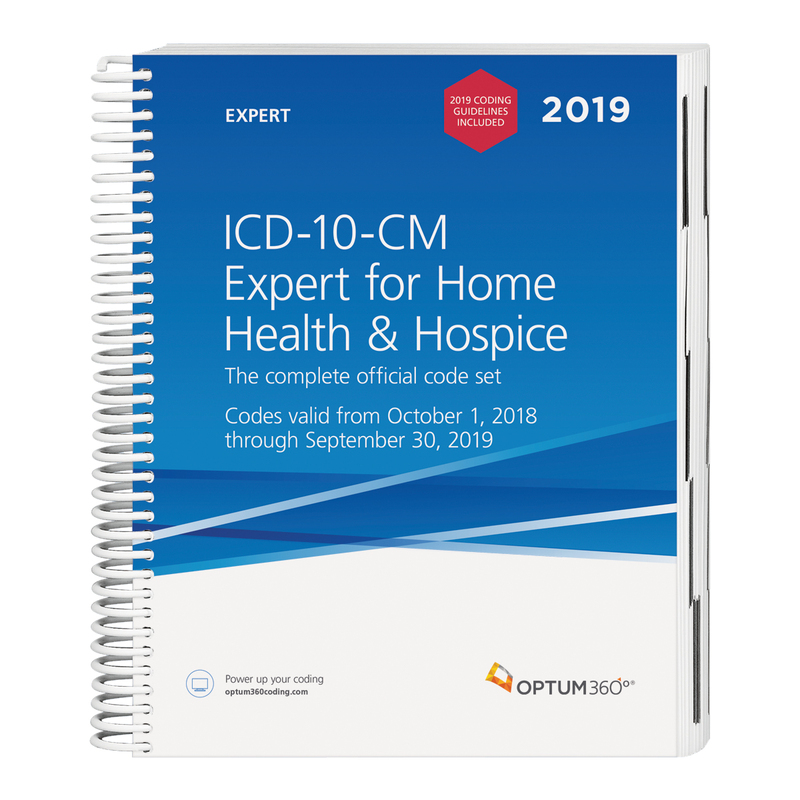 Use the code book that contains the complete ICD-10-CM code set and the familiar Optum360 coding and reimbursement alerts for home health and hospice including color bars and symbols that identify diagnosis codes for case mix, non-routine supplies and non-cancer hospice diagnoses. Now with coding tips and definitions specific to home health and hospice. • Complete list of code changes. All 2019 new, revised, and deleted codes listed in the front of the book. • Coding Tips. Specific coding tips for home health and hospice care. • Supplementary Appendixes. Additional information covering home health and hospice prospective payment systems, quality initiatives, OASIS-C1, and case mix groups. • Case Mix Quick Pick Cards. These handy 8.5” x 11” inch laminated cards identify case mix diagnoses, non-routine supply diagnoses, and non-cancer hospice diagnoses. This 300+ page manual offers a detailed look at the licensing and certification process and is an ideal starting point for those who have decided to open their own agency. Sample application forms, state and federal codes and regulations, Medicare information, and contact information for additional resources are included. With more than 100 pages, this manual reviews the key elements of future success: defining your market, business structure, financing, and local, state, and federal laws, a glossary of terms, and additional resources. This resource includes the new Medicare Conditions of Participation and Interpretive Guidelines with the corresponding G Tags which are used by surveyors when determining compliance with the CoPs. These survey guidelines have been updated to correspond with the COPs which went into effect January 13, 2018. The interpretive guidelines have changed significantly since the last revision. The Centers for Medicare and Medicaid Services did not include any: probe questions, pre-survey activities, or forms for survey protocols in their interpretive guidance. Explanations of the types of surveys are included in the beginning of the resource. 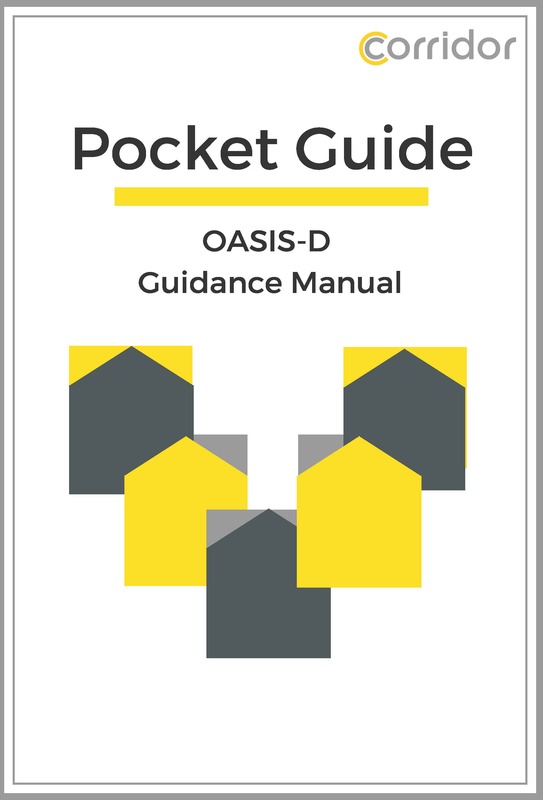 This pocket-sized guide is Chapter 3 of the CMS OASIS-D Guidance Manual (effective January 1, 2019). This handy guide will fit into the clinician's bag so that they can easily access the OASIS-C2 Guidance if a question arises while completing the OASIS "M" items. The guide contains the item-by-item guidance for all the OASIS items. Palliative Care Nursing, Fifth Edition, delivers advanced empirical, aesthetic, ethical and personal knowledge. This new edition brings an increased focus on outcomes, benchmarking progress, and goals of care. It expounds upon the importance of the cross-disciplinary collaboration introduced in the previous edition. 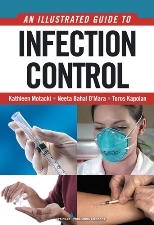 Every chapter in Sections I, II, and III includes content written by a non-nursing member of the interprofessional team. Based on best-evidence and clinical practice guidelines, this text presents comprehensive, targeted interventions responsive to the needs of palliative and hospice patients and family. Each chapter contains compassionate, timely, appropriate, and cost-effective care for diverse populations across the illness trajectory. 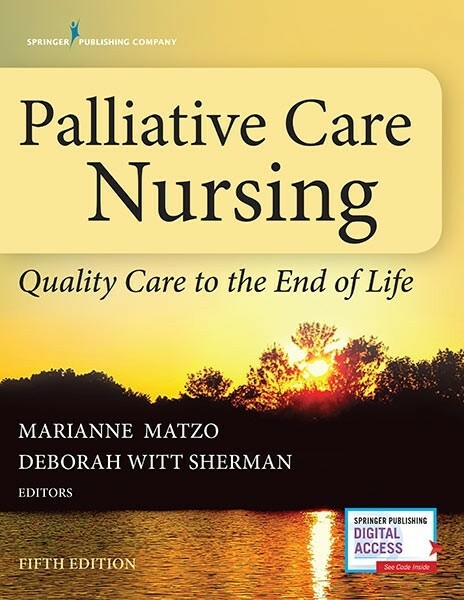 An expanded chapter on Palliative Care incorporates most up to date scope and standards, information on Basic and Advanced HPNA certification, self-reflection and self-care for nurses. The Clinical Policy and Procedure Manual covers the policies and procedures necessary for the safe and competent provision of personal care services. These polices can be utilized in home care, home health, hospice or for personal care workers in a long term care residential service setting. The Employee Handbook outlines the guiding principles and values for the retention and support of a stable, positive employee group. It also includes the steps necessary to be compliant with federal and state laws and regulations, performance reviews and guidance on employment practices as well as criminal background and drug screening policies and procedures. 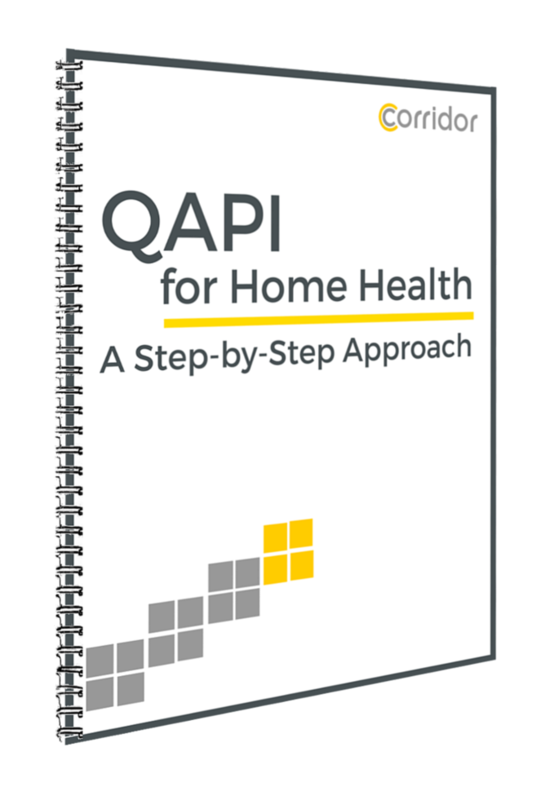 A practical home health guide for planning, developing and implementing a meaningful and survey-ready QAPI program. This home health QAPI resource will prepare your agency with a foundation of how to chose Performance Improvement Projects (PIP), gather data, analyze the data, and make the "real life" enhancements to improve patient care processes and organizational efficiency. There are two sample QAPI projects with examples of the Performance Improvement Projects (PIPs). Produced by The Corridor Group. A practical hospice guide for planning, developing and implementing a meaningful and survey-ready QAPI program. 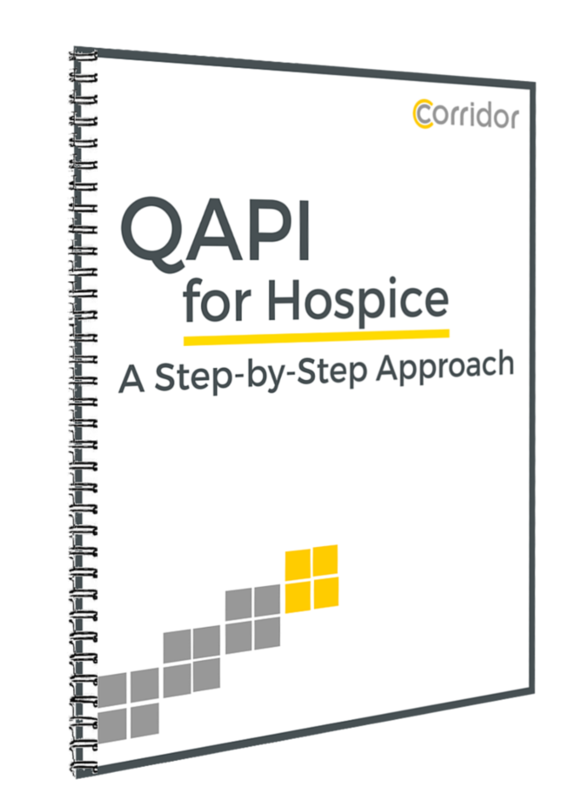 This hospice QAPI resource will prepare your hospice with a foundation of how to chose Performance Improvement Projects (PIP), gather data, analyze the data, and make the "real life" enhancements to improve patient care processes and organizational efficiencies. There are two sample QAPI projects with examples of the Performance Improvement Projects (PIPs). Sample forms included: Hospice Prioritization of Important Processes to assess which processes need to be improved, QAPI Data Collection Audit Tool, Performance Improvement Project Form and PDSA Worksheet for testing incremental change. Electronic PDF Format only: This manual is specifically for the private duty, licensed, non-medical, or companion care sales and marketing professional. This is the ONLY written material specific to home care target markets that also gives you common objections AND the words to say to overcome those objections to get the referral or client! UPDATED WITH AMENDED MEDICARE CONDITIONS OF PARTICIPATION EFFECTIVE JANUARY 13, 2018. Our best selling resource, this matrix provides a side by side comparison for home health agencies of Title 22 Regulations and the Medicare Conditions of Participation, including OASIS.